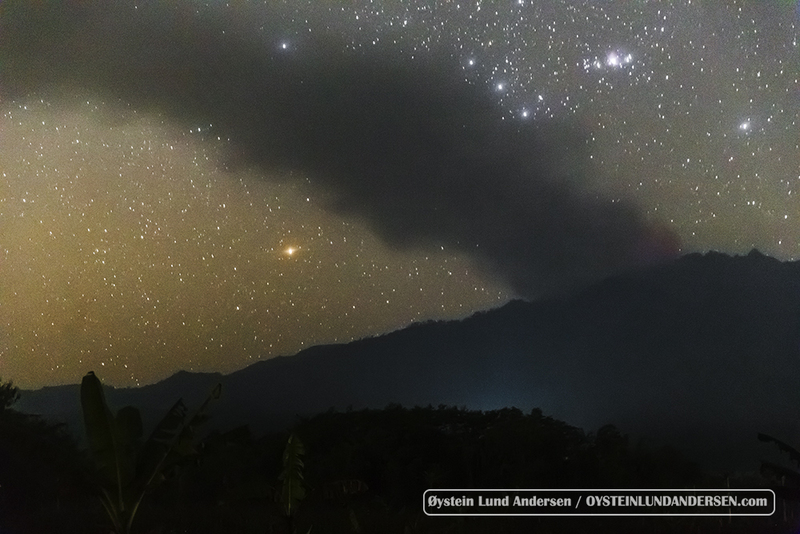 These photos was taken on the 2th August 2015, from the Tengger Caldera, approximatly 120 km west of Raung. Ash was seen drifting in a southern direction of the volcano. Activity seemed to have increased, compared to observations made on the 28th July and 1th August 2015. I visited Raung with the objective to photograph the activity on the 27th-28th July. Activity was ongoing, but seemed to have decreased slightly from the days before my arrival. Visit to Papandayan volcano, July 2015. Flying over the area with a UAV. Spent a couple of days in the quiet town of Cirebon in March this year. 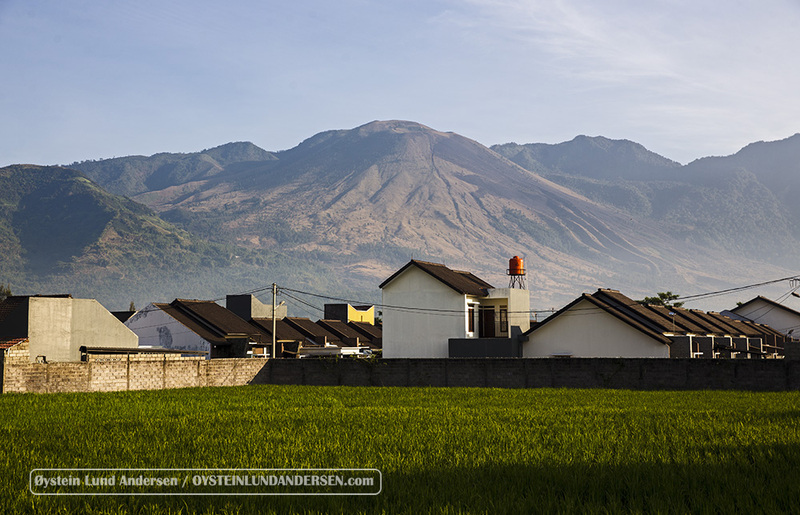 One of the mornings during my stay, I ventured to the foot of the Ciremai volcano. Took a few decent photos with my DSLR and also had the opportunity to fly my UAV. 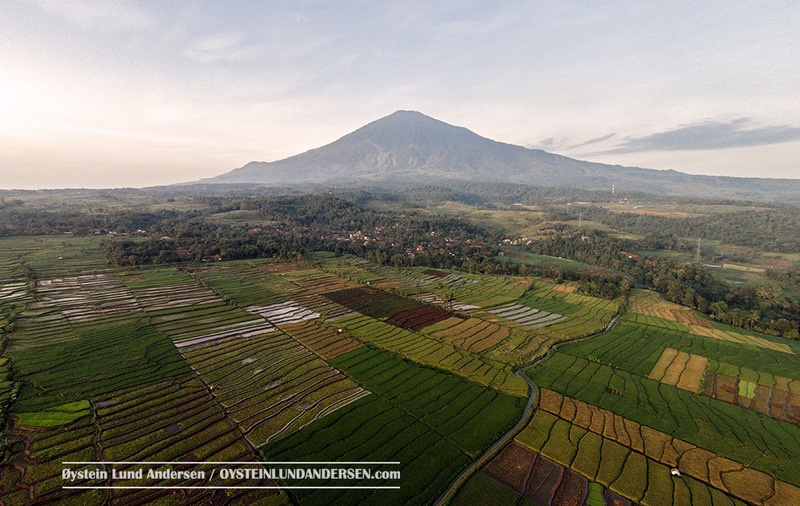 Recieved this fantastic aerial photo from my friend Eirik Aadland who works as a pilot here in Indonesia. 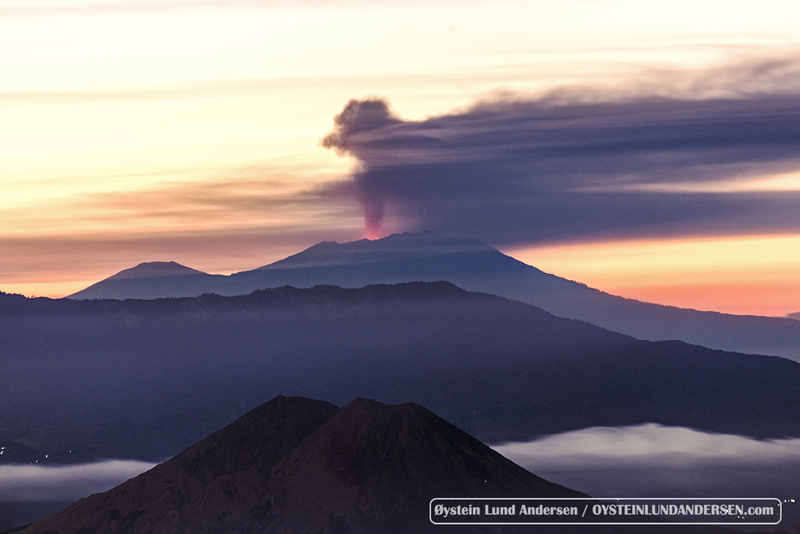 The photo shows the Tengger Caldera from the north and the steaming Bromo cone within its caldera. 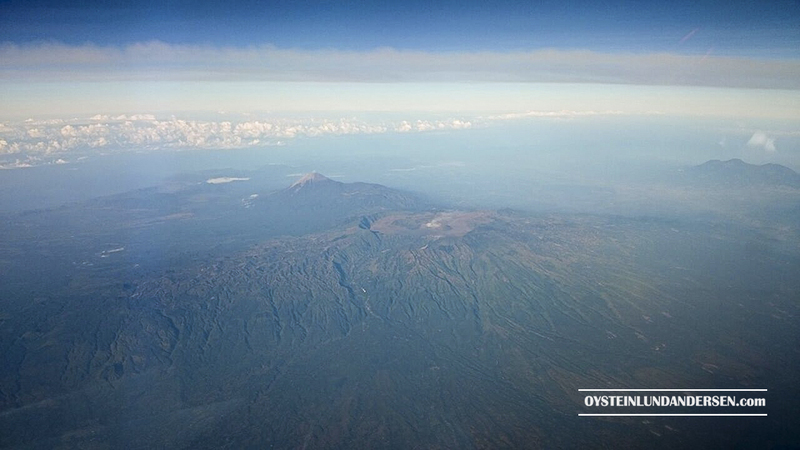 Semeru volcano can be seen in the background, as well as the southern coast of Java. The Tengger Caldera aerial view captured by Eirik Aadland. After a couple of weeks of hard work, I have now transferred all old content of my old website into this new layout, meaning that my photography portofolio is mostly up to date. In addition to the previous content, I have also added a menu-section named: `Astrophotography`, that will be dedicated to the photography of stars and deep-sky objects. I already added a few photos there, but more will come. Here is a random photo taken from my photography portofolio. Photo is from July 2011. 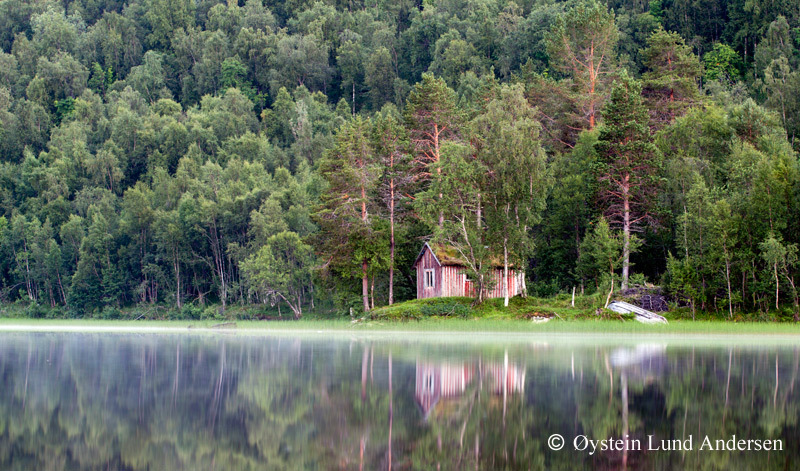 It is taken from the Norway-Bodø section of my portofolio, and shows a cabin by a lake (Garsvannet) in Breivika. 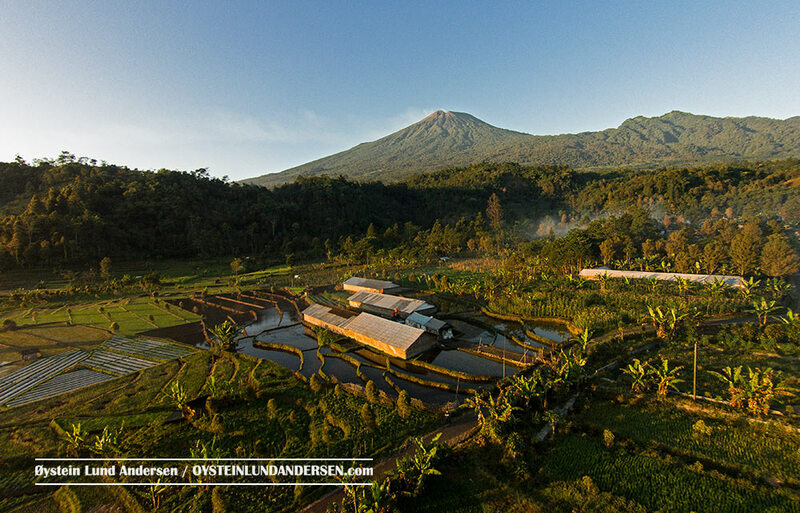 It is a place I used to do my fishing (rainbow-trout) in the summer-seasons when young, and I somehow came to remember it today, writing this post from Indonesia. 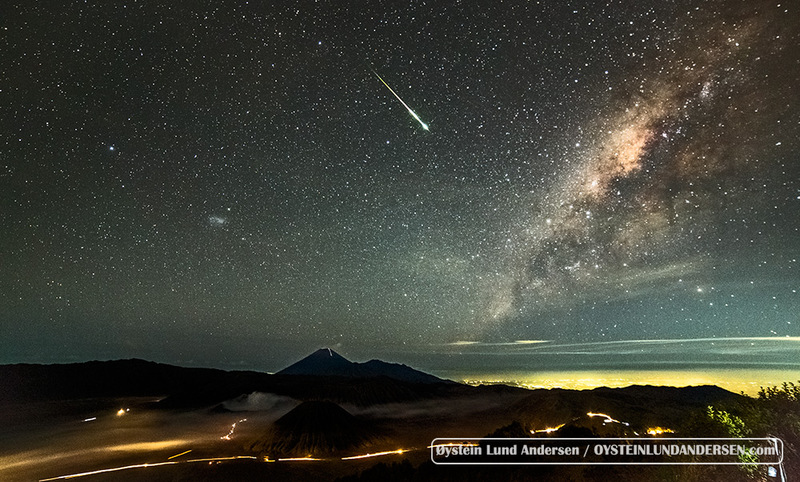 Meteor falling over the Tengger Caldera, 14th June 2015. 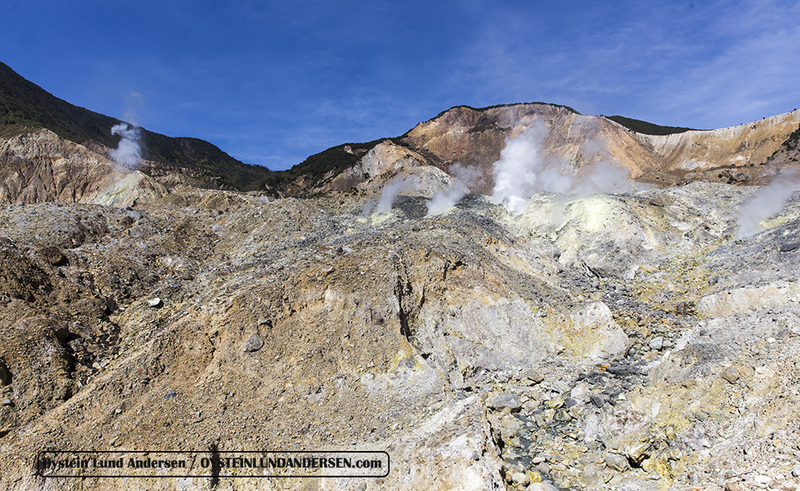 Visited Bromo on the 13-14 June 2015. Click here to see more photos from the visit. Im reconstructing my website and adding old material from my old website to it. Not all pages contain content at this moment, and more pages will be added as well. Hope to finish the website between June-July.